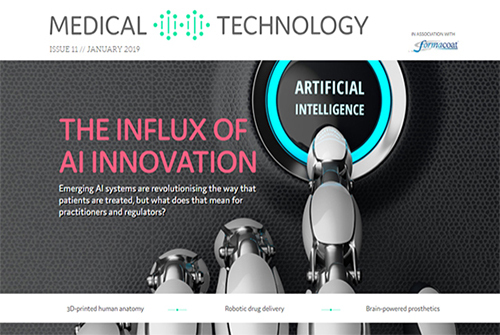 In this issue: The biggest medical device stories from the past 12 months, including innovative implants, machine learning and regulation. 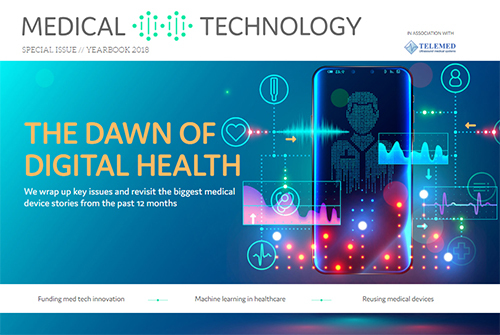 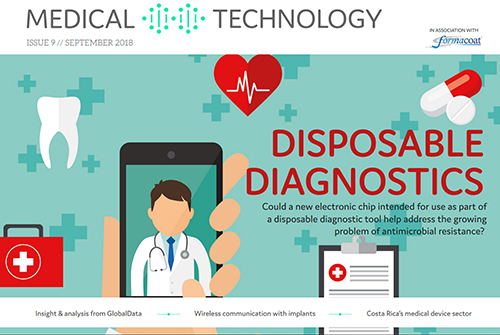 A disposable rapid diagnostics device for infections, machine learning in healthcare, wireless charing and communications for implants, Costa Rica’s medical devices sector, plus analysis from GlobalData. 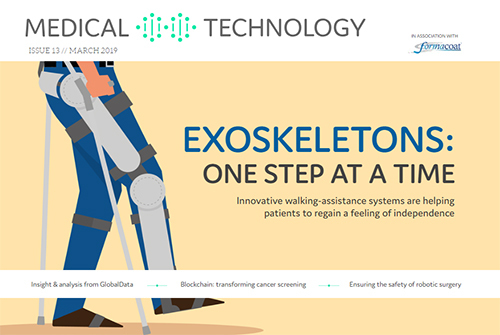 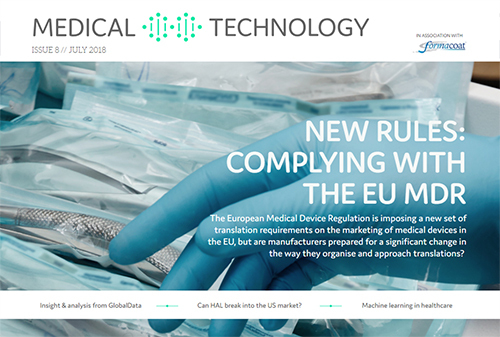 Complying with the EU Medical Device Regulation, machine learning in healthcare, Cyberdyne’s Hybrid Assistive Limb exoskeleton arrives in the US and optimising the healthcare pathway, plus analysis from GlobalData. 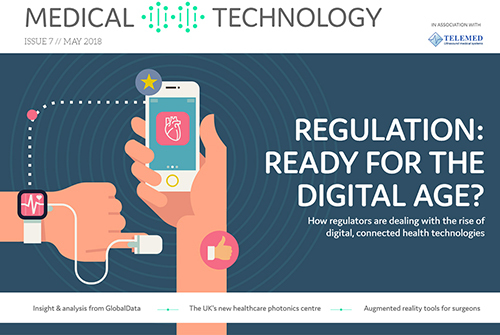 The challenges of regulating new, connected medical devices, the UK’s new healthcare photonics centre, augmented reality tools for surgeons, securing trade with Europe post-Brexit and the latest market insight and comment from GlobalData. 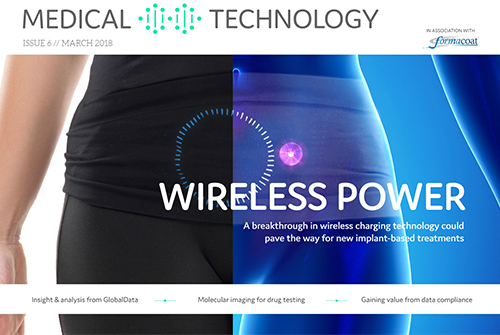 A breakthrough in wireless charging technology could pave the way for new implant-based treatment | Plus: Molecular imaging for drug testing, gaining value from data compliance and the latest market insight and comment from GlobalData. 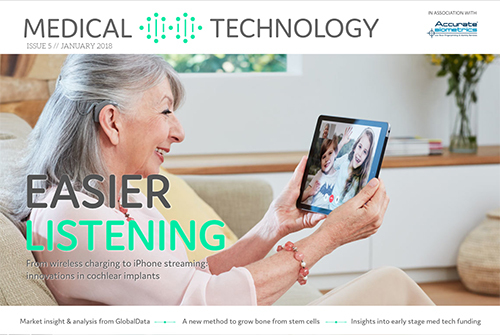 Innovations in cochlear implants, a new method to grow bone from stem cells, insights into early stage med tech funding, plus the latest market insight and comment from GlobalData. 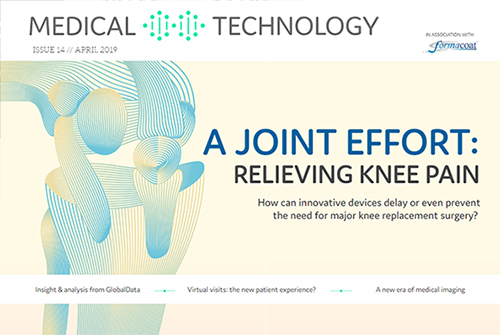 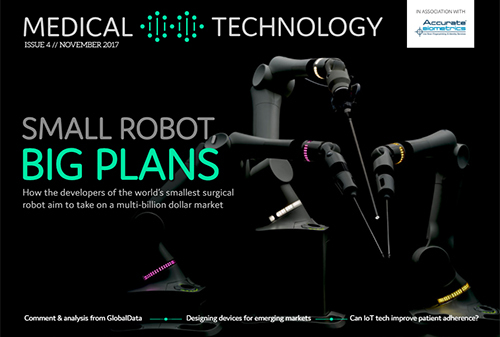 The world’s smallest surgical robot, designing devices for emerging markets, improving patient adherence with IoT solutions, plus the latest market insight and comment from GlobalData. 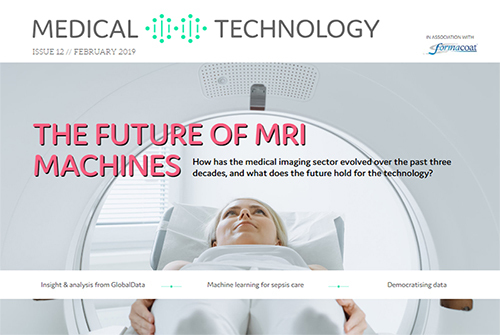 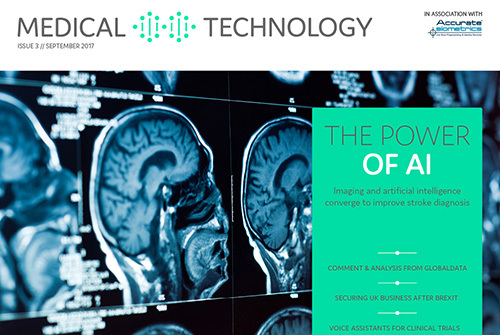 Securing the future of the UK medical device sector after Brexit, artificial intelligence for brain scan analysis, voice recognition technology for clinical trials, plus the latest market insight and comment from GlobalData. 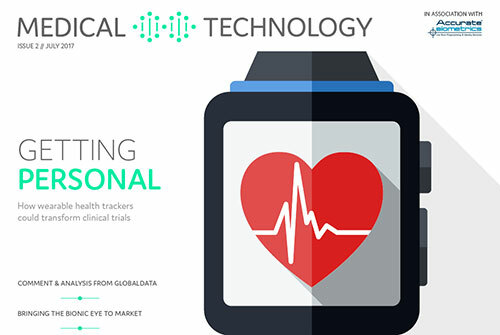 pplications for wearable health trackers in clinical trials, eye implants for retinitis pigmentosa, a new business model for 3D printed prosthetics, and the latest comment and analysis from GlobalData’s healthcare analysts. 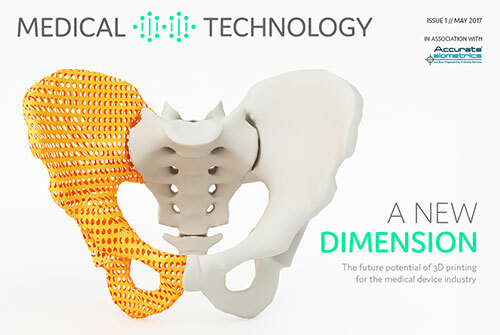 The potential of 3D printing, new developments in robotic surgical devices, the benefits of frugal innovation and the latest comment and analysis from GlobalData’s healthcare analysts.